Vodka, caviar, golden onion shaped church domes, horse pulled sleighs running into the snowy night… What other Russian stereotypes might Parfum d’Empire have missed in their description of Ambre Russe? Though I might gripe about the clichés, one thing is without any doubt—among the excellent modern ambers, Ambre Russe is one of the most opulent and luxurious. Its character is enveloping and rich, while the spicy and leathery accents give it a sensual, smoldering aura. At the same time, the dryness of incense makes Ambre Russe elegant and polished by dispelling the usual resinous heft of sweet amber. Created by Marc-Antoine Corticchiato, the founder of the Parfum d’Empire line, Ambre Russe is both his tribute to Russia and to the classical labdanum based amber. As I smell Ambre Russe, I glimpse the baroque elements from classical Guerlain fragrances, such as Mitsouko, Vol de Nuit and L’Heure Bleue. For this reason, Ambre Russe seems to me as an exercise in nostalgia; just as it captures the opulent Tsarist past that vanished overnight in the 1917 Russian revolution, so does it evoke the grand parfum glory that is available today in only a muted form. Inhale the dark, smoky sweetness of Ambre Russe, and all of it appears before you—the gilded ballrooms, the perfumed shoulders, and the champagne fountains. Like many amber centered niche creations, Ambre Russe is a monolithic fragrance that reveals all of its elements in rapid succession. Though lacking in surprising twists, it makes up for it with its opulence. It is built around a sweet amber note, but unlike Serge Lutens Ambre Sultan or Tom Ford Amber Absolute, the main accent here is not the resinous, bittersweet labdanum, but rather benzoin with its cherry and vanilla liqueur character. The amber that results out of these notes is sweet, luscious and spicy, with a gourmand edge. 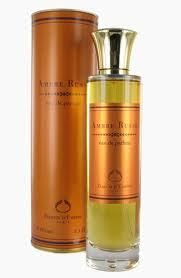 The overtones of tobacco and incense deepen the impression and enhance the complexity of Ambre Russe. Although the sweetness is much more pronounced in Ambre Russe than in other ambers I mentioned, it is nevertheless mild. Compared to another stellar amber, Hermès Ambre Narguilé, it is drier and smokier. It is quite tenacious, even though its sillage is moderate and the fragrance stays close to the skin and creates a pleasant aura. As the days turn colder, I reach more and more often for my Ambre Russe bottle, hoping as much for a glimpse of a fantasy world as for its delicious, warm caress. Suzanna: I had this one and swapped it while predicting that somewhere down the line (now)I would want it again. I do not care for wet or sweet ambers and I like dry and smoky ones; I may have the spring for another bottle or at least a decant. Cristine: I’m kind of relieved to hear you smelled smoke in Chergui because I own it and love it–so perhaps the cigarette smell in AR is not something that will ultimately bother me. I’ll try it again when it gets colder here, in California. 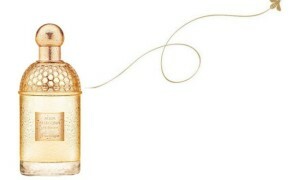 Also, I agree that though Ambre Sultan smells great, it can be difficult to wear. Like a big amber bear sitting on my chest. Victoria: It does have that strong tobacco note! I do not mind it, as it does not make think of cigarette smoke, but I can see how it might, esp in combination with smoky incense notes. Austenfan: I love Ambre Russe. It might be my favourite amber. Ambre Sultan is another one I really like, as are Ambre Précieux, Ambre 114 and Ambre Fétiche. Victoria: I agree, the price to quality is great! I cannot say that I like all of the fragrances, mostly because the musk base Parfums d’Empire uses sometimes bothers me (it feels too clean laudry, powdery to me,) and in some fragrances, it is more so than in others. sweetlife: How funny, V! I used to love, love, love this one and I remember your telling me you didn’t care for it–you mentioned a “dull leather note” that overwhelmed the blend, I believe. 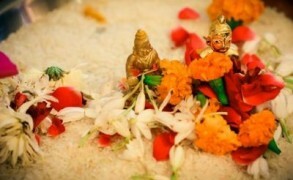 Now I too find it overwhelming and rarely wear it but you have come around. No doubt when I pick it up again you’ll be heartily sick of it. Victoria: I know! It is a constant back and forth, isn’t it. As I replied to Suzanna, the only reason I kept a bottle was because it was a gift from a family member. I am glad that I did.